I know it has been a while since my last post. These days I have been going to my local shopping malls and thrift stores. I will start this blog with my latest thrift store finding(s). I remember when I saw it at our Disney Resort (Pop Century) and liking the Design. I was really wanting the bigger bag but I got this because of the price. The price at Disney is $14-$20.00 but I got it for $1.50! I couldn't believe the price. It's practically new but without the tags and in great condition. I wonder why anyone would give away such an awesome bag. I also was thrilled it wasn't in the "window sale." I hate Window Sales. 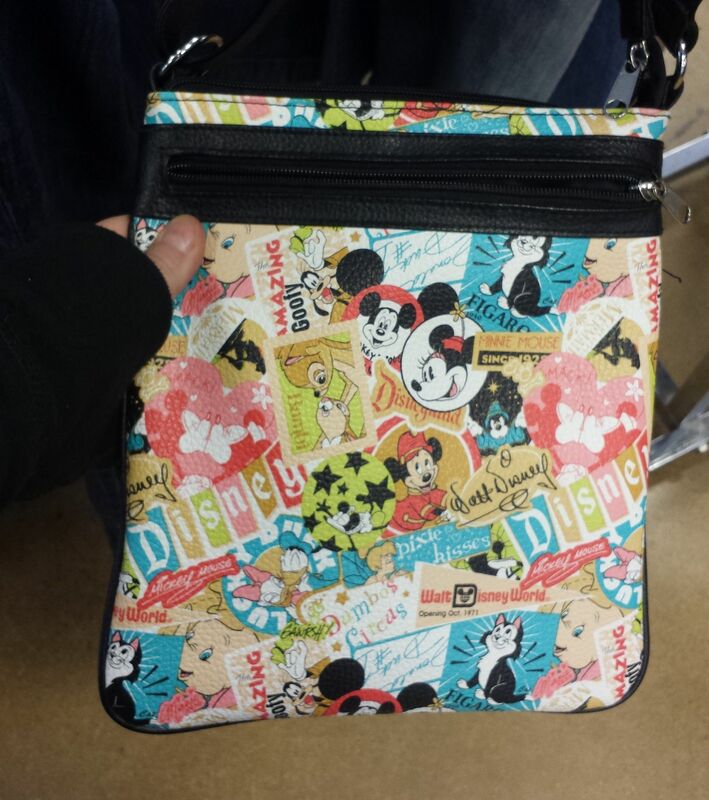 I have also been going to my Disney Outlet stores and regular Disney stores this week. I bought 4 plushes called Tsum Tsum (also an addicting game for phones/ipad/ipod). 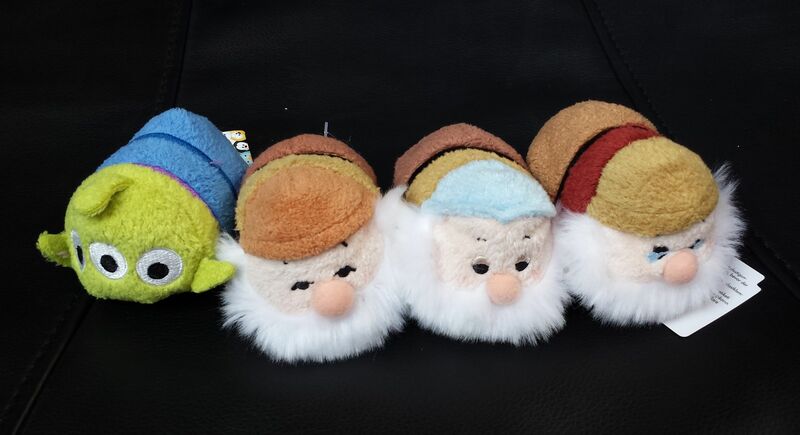 The 3 with the beards are Dwarfs from Snow white and the green alien is from Toy Story. They are on sale these days. My collection consists now of: Stitch, Minnie and Mickey, Lotso, and Bullseye, these 3 dwarfs and the alien...9 altogether. I really want to get Chip and Dale. He's called Nautilus from Park 8 Series. He's based on the ship (or sub) from 20,000 Leagues Under the Sea which was once an attraction at Disney World in 1971 (now the location is Seven Dwarf Mine Train. I was thrilled when I saw him. I traded a figure from Toy Story Series that I had duplicate of. He was a bit dirty but I cleaned him with a Magic Eraser. 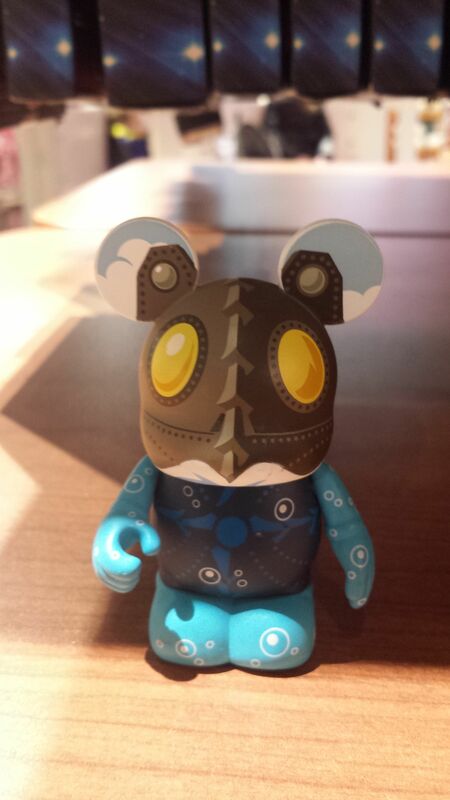 You have to be careful when cleaning Vinylmation with Magic Eraser because it will take off the original paint.